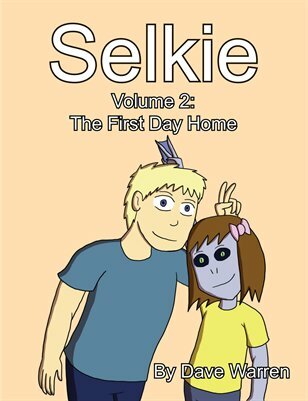 This is the first installment of Selkie, a long form story comic about a family created through adoption. Hope you like it! I can’t seem to find a way to email you “Dave,” so I’ll voice this comment here instead: Your avatar on this site is a blatant and very uncomely ripoff of the “heart shaped skull” designed by Aaron Alexovich, whose comics I have been reading since 2003. I’m not trying to be super aggressive, this is simply the first observation I made upon visiting your site. Please feel free to contact me if you feel I am in error, or if you are simply promoting a small homage to an older, much more popular comic. Firstly, thank you for stopping by, I hope you enjoy the strip and come back for more. As far as my avatar design, I am unfamiliar with works of Mr Alexovich, and if he has a copyright on the design I will be happy to discuss this with him. The avatar I use here is something I drew independently and of my own inspiration, and liked enough to integrate into the comic. Additionally, I have an email link at the bottom of the website if you wish to use that. Thanks again for stopping by! Stop being an asshat. Thank you. Dave, you are awesome, that was the best way to handle that. Also you’ve made me consider adoption for a child, you sir are amazing at this. Hi Dave! Followed the ad for Selkie from the “Dominic Deegan” comic. Love the primitive styling of your comic art (kind of reminiscent of Matt Groenig’s work). So far love the comic, but will probably comment more when I’ve finished catching up. Thanks! Barn0wl spotted. Continuing to monitor. All jokes aside, I’ve seen you comment on other webcomics. 0wls get around, huh? Also I hope this successfully posts, unlike my previous posts. This looks cute so far! Get ready for some fan art!! That’s a BIG door, man. Wow, Todd looks so different here! I remember, when I started reading I thought he was about 50. New readers, he’s actually more like 25-30. 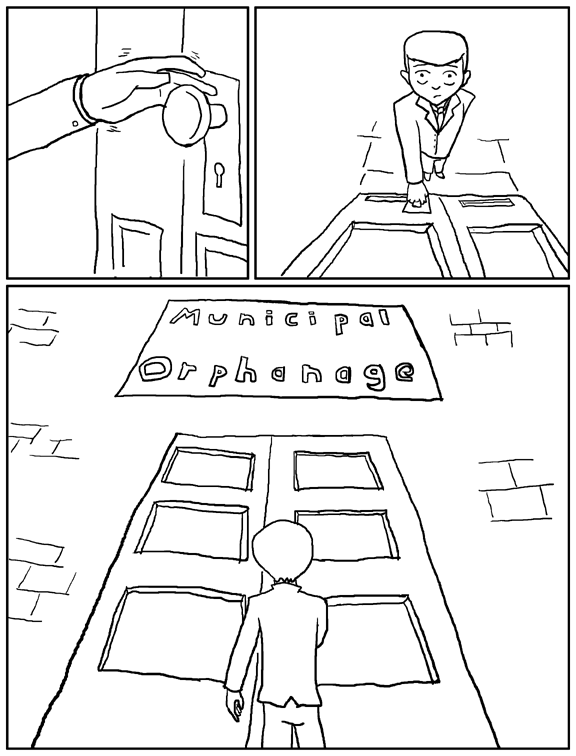 We know he’s an adult, but the forced perspective of the last panel shows us that he feels like a small child. Because reasons. I’ve loved this comic since I’ve first seen it, and felt like I needed to put a comment down for the fourth time through! Welcome to the comments field!